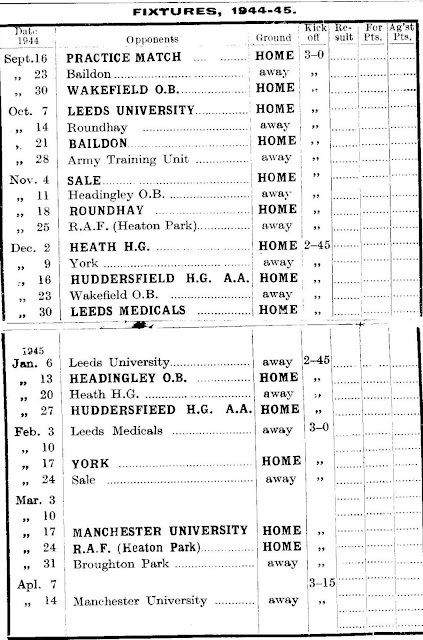 Huddersfield Old Boys was one of the Yorkshire rugby union clubs that continued to play during World War Two. The club also managed to produce a fixture card every season, below are the fixtures listed in the fixture card for the 1944/45 season. Wakefield Old Boys lost the September game 23-0, the Wakefield Express noted "Wakefield Old Boys ...have temporary lost several of their prominent players."